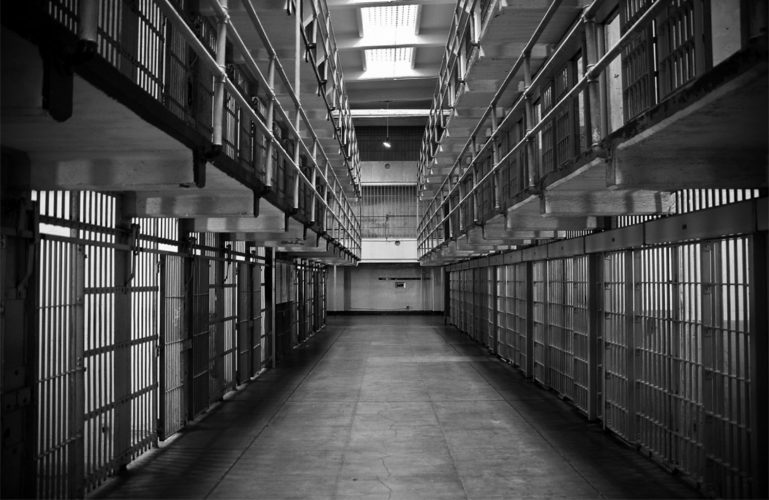 Prison reform on the horizon for the U.S. The United States has the world’s largest prison population, despite having less than five percent of the world’s population. This has led to increasing numbers of calls for reform to the prison system in the U.S. Not much ground has been made on this front in recent years, but there is a bill currently going through the Senate that aims to change that. One of the biggest complaints about the criminal justice system in the U.S. is that it does scarcely anything to reduce recidivism – the tendency of a convicted criminal to re-offend. A nine year study conducted by the Bureau of Justice Statistics (BJS) found that an estimated 68 percent of released prisoners were arrested again within three years, 79 percent within six years and 83 percent within nine years. The BJS study also found that of the 401,288 state prisoners released in 2005, 1,994,000 occasions of those individuals being arrested were recorded in the following nine-year period – an average of five arrests per released prisoner. Studies like this one have brought the problems facing the criminal justice system to the public’s attention, and they are a big reason for the first major change to prison reform in eight years – a measure intended to provide increased job training, education, and drug abuse treatment. Another common complaint is that the criminal justice system doesn’t do enough to prepare inmates for life outside of prison, especially when it comes to finding jobs. A study conducted by Prison Policy Initiative found that formerly incarcerated people are unemployed at a rate of over 27 percent. That is higher than the unemployment rate during the Great Depression, which peaked at 25 percent. Proponents of prison reform argue that transitioning from prison into the community is extremely difficult, and the criminal justice system doesn’t do enough to prepare inmates for this, putting them at an extreme disadvantage. There are also some complaints of racism in the U.S. criminal justice system, as groups like the American Civil Liberties Union argue that sentencing disparities between crack- and powder-cocaine disproportionally target African Americans. The sentencing disparity between crack and powder cocaine is now 18:1 after the Fair Sentencing Act, and since the majority of people arrested for crack-cocaine offenses are African Americans, they receive harsher sentences compared to people who commit powder-cocaine offenses. Additionally, African Americans make up 38 percent of the prison population and only 13.4 percent of the U.S. population, which some argue displays overt racism in the justice and prison systems. Fortunately for supporters of prison reform, there is a bill currently going through Congress that would potentially fix these issues and more. The Formerly Incarcerated Reenter Society Transformed Safely Transitioning Every Person (First Step) Act was first introduced by Rep. Doug Collins, R-Ga., and Hakeem Jeffries, D-N.Y. This bipartisan bill passed the House by a vote of 360-59 earlier this year but is currently stuck in the Senate. This bill would address many of the complaints about the criminal justice system in the U.S. Under the bill, all prisoners will be allowed the opportunity to participate in recidivism reduction programs, which the Bureau of Prisons would have two years to phase in after the completion of the initial risk and needs assessments. The bill would require federal prison wardens to enter into partnerships with nonprofit and private organizations to offer recidivism reduction programming, institutions of higher education, private entities for work training programs and industry-sponsored organizations. The bill would also require the Bureau of Prisons to provide a secure area outside of the secure parameter of a prison facility for corrections officers to store firearms, allows officers to store firearms in a lockbox inside their vehicle and allows officers to carry concealed firearms outside of the secure area of a prison facility. It would prohibit restraints on pregnant prisoners, with a few exceptions, and would expand compassionate release for eligible terminally ill and elderly offenders. Sentencing reform, which is supported by most proponents of prison reform, is missing from the First Step Act. They may be added in the near future, however, as senators like Chuck Grassley, R-Iowa, push for sentencing reform to be added to the bill. Some of the provisions proponents of sentencing reform want to add to the bill include shortening federal three-strike drug penalties from life in prison to 25 years, reducing two-strike drug penalties from 20 years to 15 – allowing a firearm sentencing enhancement to run concurrently with the underlying penalty and allowing retroactive sentencing for crack cocaine cases judged under tougher historical laws. Louisiana is a good example of what the First Step Act might look like in practice. After leading all states with the highest imprisonment rate for nearly 20 years, Louisiana passed criminal justice reforms. Some of the reforms include reducing mandatory minimum sentences for certain crimes, expanding alternatives to prison and making it easier for non-violent offenders to earn credit for good behavior. Although it is very early in the process, these reforms seem to be paying off. The total prison population dropped 7.6 percent, admissions to prison for drug possession offenses dropped by 42 percent and the number of people imprisoned for non-violent offenses dropped by 20 percent. It also saved the state approximately $12.2 million, 70 percent of which is slated for reinvestment in programs that support victims and reduce recidivism. For supporters of prison reform, there is still a lot of work to be done, especially in regards to sentence reform and getting the bill through the Senate. If it does pass, there will still be more to do. “Hopefully more reforms will come after that,” said Mark Holden, senior vice president of Koch Industries and strong supporter of prison reform. However, as the name of the bill suggests, this is a good first step.